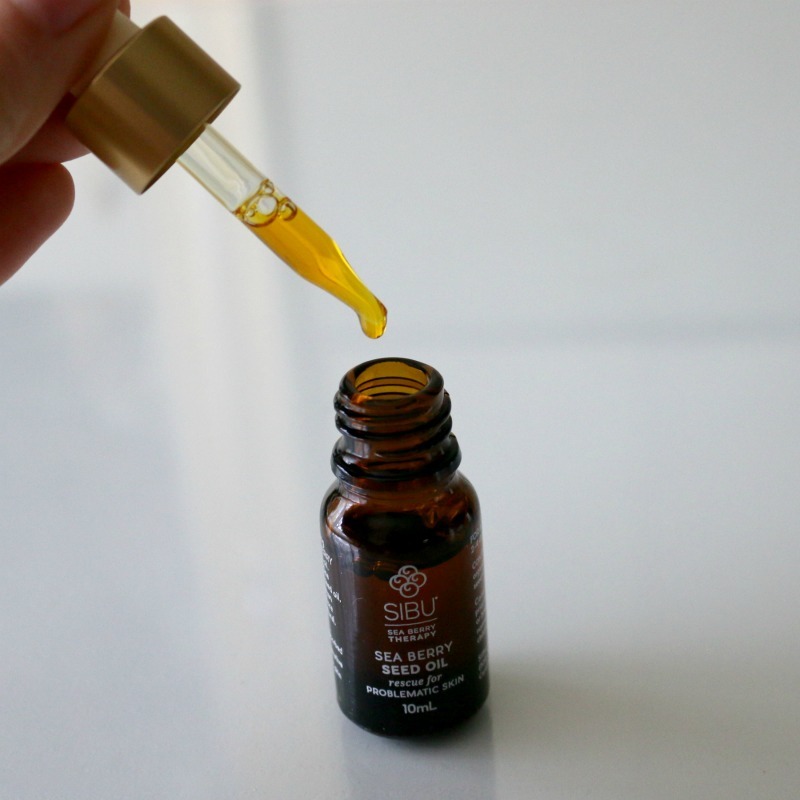 When I first started looking into more natural products, I was introduced to SIBU and have had the opportunity to try a few more of their products over the years. 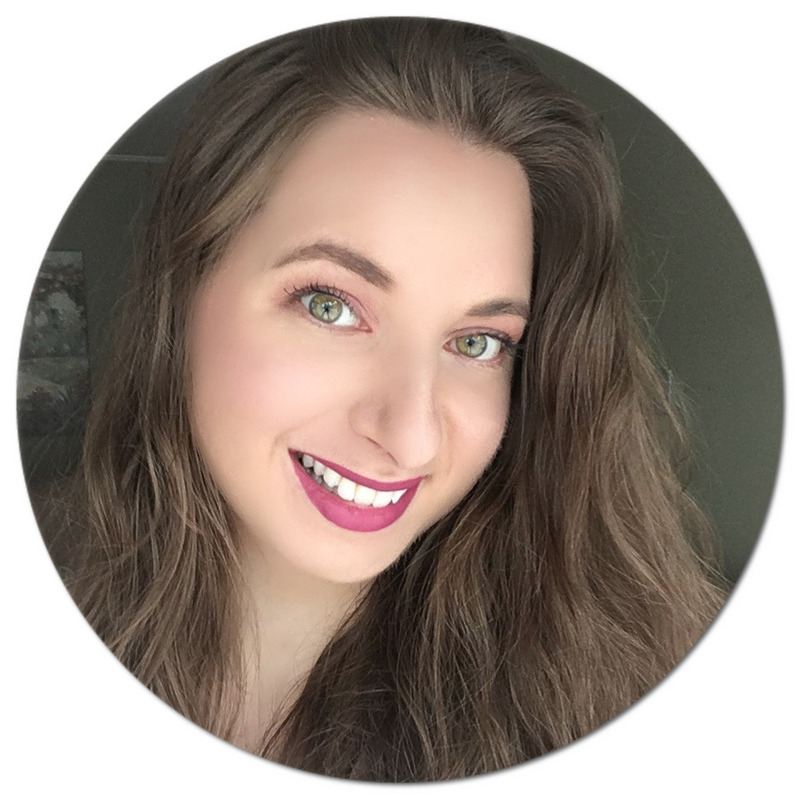 One of the many reasons I am a fan of this line is that their products are specifically created for those of us with imperfect skin - and I definitely fall into this category as I deal with acne and hyperpigmentation on a regular basis. Sea Buckthorn Berry is the star ingredient, a fruit high in omega 3, 6, 7 and 9s and containing over 190 bioactive compounds - now that's powerful stuff! Grown in the Himalayas, Sea Buckthorn is not only a fantastic topical ingredient to calm reactive skin and improve the overall look of our skin, but it is also highly nutritious when taken internally - something I have yet to try! I've recently been incorporating a few of their products into my routine, namely the SIBU Polishing Facial Cleanser*, Age Defying Eye Cream* and Sea Berry Seed Oil*. I've been enjoying them so much, I just had to feature them! The SIBU Polishing Facial Cleanser is a super gentle face wash and exfoliator that I've been using morning and night. I alternate my facial cleansers often, but this one I have stuck to for a few weeks now, so that says a lot! It contains microparticles that effectively polish the surface of the skin without being harsh, and these are actually visible to the eye! As with most natural face cleanser, the formula is non-foaming. This gel does a great job at removing makeup without stripping the skin or leaving it feeling tight or dry. 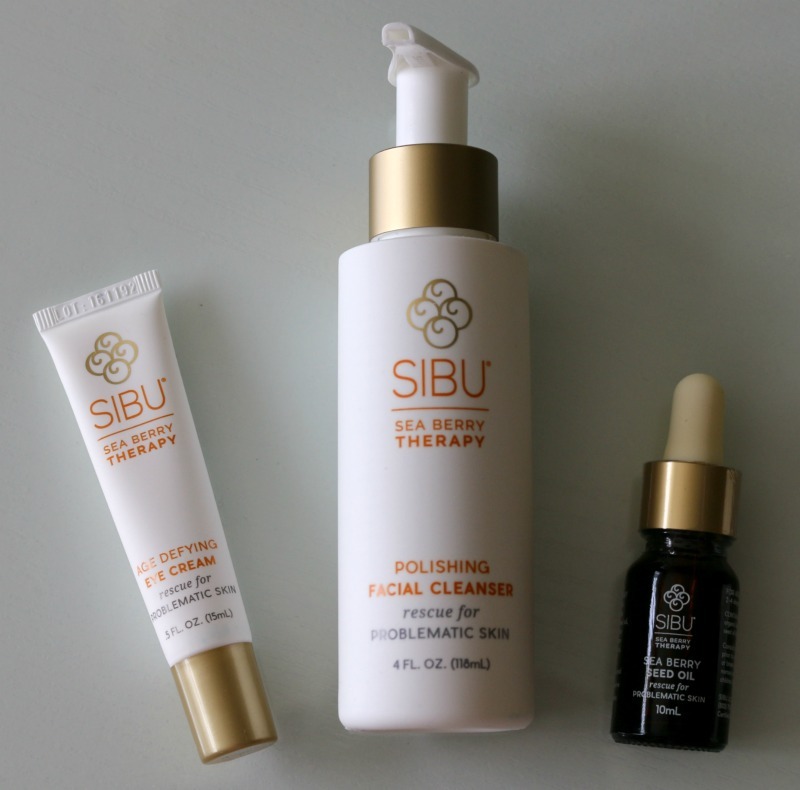 The SIBU Sea Berry Seed Oil is just that - 100% therapeutic grade organic Sea Buckthorn seed oil! You can use it on its own for intense relief of eczema, rosacea and even acne. Just apply 2-4 drops directly on the skin or mix a couple of drops into your favourite moisturizer for an added boost. Use is not limited to only your face - you can massage this oil into your cuticles or even use it as a hair oil. I apply this oil once daily at bedtime to give it time to sink in. It has really helped calm my skin after an acne-flareup I've been dealing with, and I also noticed it seems to heal my leftover hyperpigmentation more quickly. 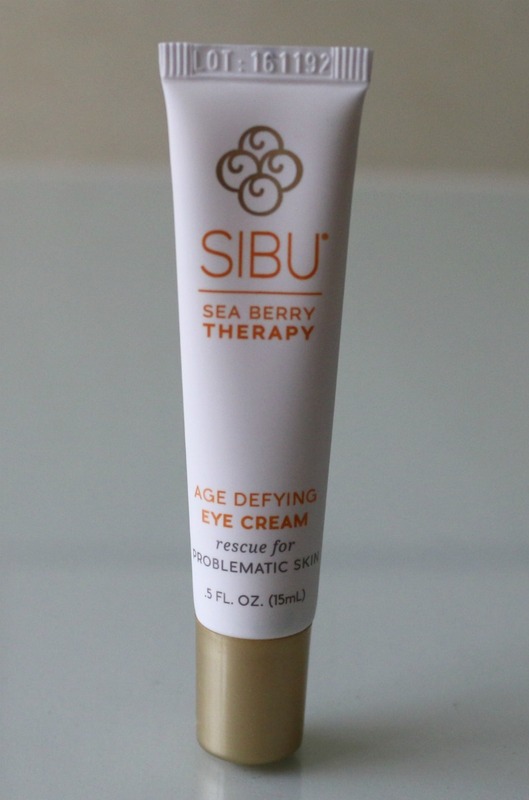 The SIBU Age Defying Eye Cream contains both sea buckthorn and pumpkin oils, among other plant extracts, to moisturize the delicate skin around the eyes. It is said to visibly reduce dark circles and puffiness and minimize the appearance of fine lines and wrinkles. Eye cream is one of those steps I often neglect, however I've been loving this one so much that I've been using it both morning and night! It absorbs quickly and is a great base for makeup to avoid creasing or dry skin from being emphasized. SIBU products are PETA certified, vegan, cruelty-free and free of GMO and gluten. They can be purchased internationally from iHerb.com, my favourite online store! You can use code FFM227 at checkout for an additional discount off your order. Have you heard of Sea Buckthorn Berry? Would you give these products a try? I have never heard of this brand before, but it looks great! I really want to try that eye cream! I have not heard of this brand before but I am definitely willing to try it. I have very dry skin and could really use anything that will help with the wrinkles I have. I will be looking into that eye cream. My bags are getting worse and worse with age. Great info, I love the idea of using a few drops of the sea berry seed oil in my regular face oil mix. I would definitely try this. Wow i have not heard of this brand before! I would totally try out the oil though! The eye cream is intriguing me the most! I don't know the brand, but I'm a skincare junkie. I could use all the skin therapy that I can get. My skin is as dry and scaly as a crocodile's. Anything that would help me would be great. Ooh. That sounds like nice stuff. I have a terrible time with my skin, so something like this could be a huge help for me. Thank you for the heads up! I've never heard of this brand! These products sound wonderful, I definitely need to check them out! Sounds like a great line for sure! Sea Buckthorn is amazing! I have been using it in various ways for years including tea! So happy to see it in skin care! Those products look really interesting! I need to buy them soon because I love trying new things. I haven't heard of this brand before but I'd want to try that eye cream. Love the packaging. It looks so luxe! Thanks for this! I am always looking for new more natural products to add to my line up! Very helpful! Ooooo now this sounds like one fabulous line!!!! I'm always looking for new facial cleansers so I will have to give it a try! I've never heard of the sibu products, but I have some bad dry skin and need some products that will help me desperately. I think I will have to look for these and try these bad boys out! This sounds like such a great line! I have very problematic skin, and even as I enter my 30s, I am still dealing with acne! I am very interested in the sea berry seed oil. I like that it can used for a variety of things. I like that this line is so natural. This will definitely be on my must try list. I have not tried SIBU products yet but they do seem like something I would love to try. The area around the eyes is where aging really shows. I want the eye cream to address the fine lines around my eyes. I love that this product is PETA certified, vegan, cruelty-free and GMO and gluten free too. i think i have seen this sea berry therapy before! I've heard a lot about this brand and they said it's sooo good! This is the first time I heard about this brand. Nice packaging. I would love to try the facial cleanser. I think this is great. I've been looking for products that are vegan and cruelty free just because it's so much better to support them and it works great with my skin as well. I had no idea about this brand, bu I would love to try this soon. I would love to try the seed oil. I have a similar oil but it doesn't do everything that this oil does. I fall into the category of imperfect skin too. It's nice to find a brand you love. I really love the oil concept. Would other oils work to add to this as well? I just love this brand. It is one of my favorite to go to for dry skin. I really like these products. I have not used this one in particular but loves this brand! I have not tried these but they sound amazing. I have to have an exfoliant in the cleanser and this one sounds perfect! I really love SIBU! The Age Defying Eye Cream sounds awesome! This looks like something I might like to try. I've been looking for a good line that works. This is the first time that I've heard of Sea Buckthorn Berry. Sounds amazing! I'm not getting any younger. Would love to try those. Wow sounds great! There are too many skin care products that are popping out everywhere. And it's scary to try anything, you might break out! I've never heard of Sibu Sea Berry but I would totally try it. My skin is hit or miss so finding the right product is key. good product from the post, i have not tried it but hopefully someday i will, as am sure this is so perfect for its purpose. I have heard about this product before but have never actually tried it. I can never have enough facial cleansers, I would love to try this brand! A pretty new brand I believe. A good one to try for the ladies. Amazing! Great products. The skin care products are basically oriented on the protection of human skin due to the popularity of the idea of healthy lifestyle. Thanks for sharing. My big problem is that no matter what moisturized I use, certain areas of my face flake up. perhaps I should try these products. Women are mostly big skin enthusiasts and pay huge attention to their skin, making sure that it looks good and glows when they go out. Your skin is a highly noticeable part of your body, as it is also the largest part of your body. Always use best life cell skin cream that really works for you.